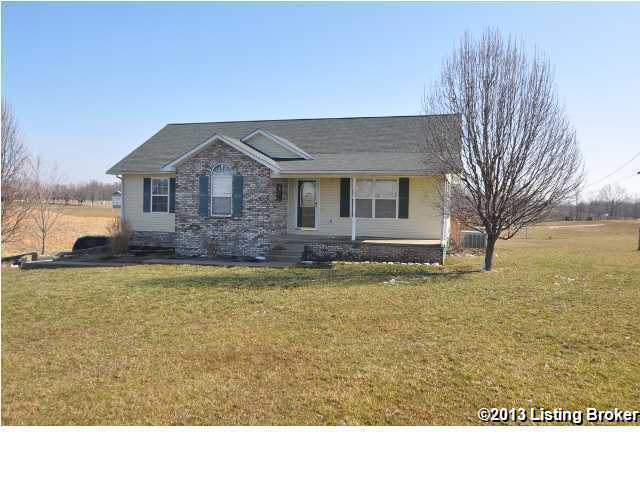 Adorable ranch home in Breckinridge county offers over 1450 sf finished on just under an acre! 3 bedrooms and 2 baths with an unfinished basement that offers room to grow. On the main level a wonderful open living room with vaulted ceilings and a stone fireplace that is open to the dining area. 45 Tiffany Estates Ln, Garfield KY 40140 is a Home, with 3 bedrooms which is recently sold, it has 1,458 sqft, 0 sized lot, and 2 Car Garage,Entry Side,Lower Level parking. A comparable Home, has 3 bedrooms and 2.5 baths, it was built in and is located at 11970 Highway 690 Garfield KY 40140 and for sale by its owner at $ 79,900. This home is located in the city of Garfield , in zip code 40140, this Breckinridge County Home, it is in the NONE Subdivision, and are nearby neighborhoods.